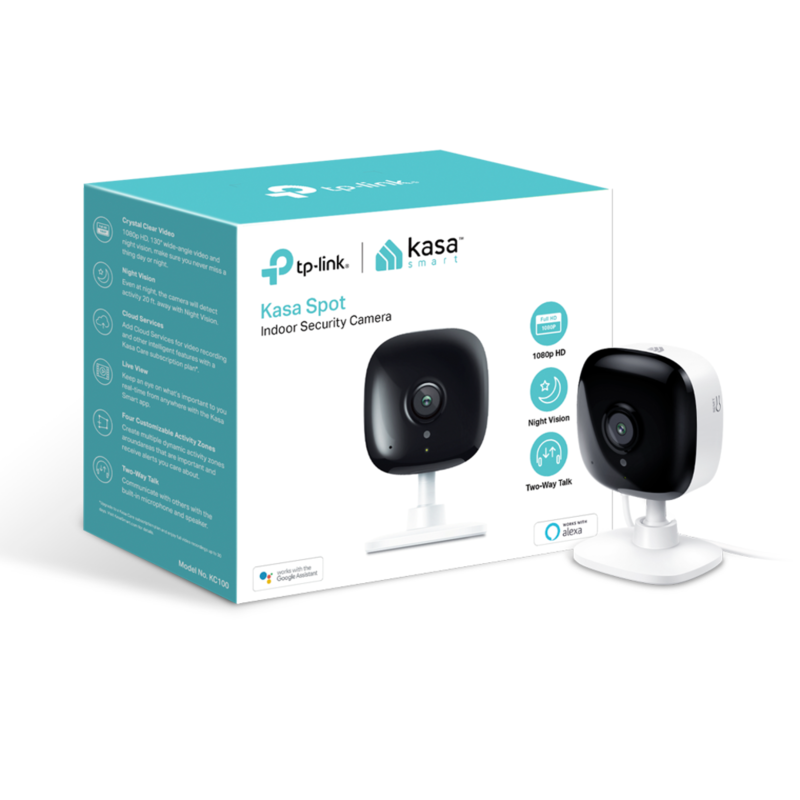 Keep an eye on your things with Kasa Spot, the 1080p full-HD indoor security camera. Sharp and clear 1080p full-HD provides high-quality video right in the palm of your hand. 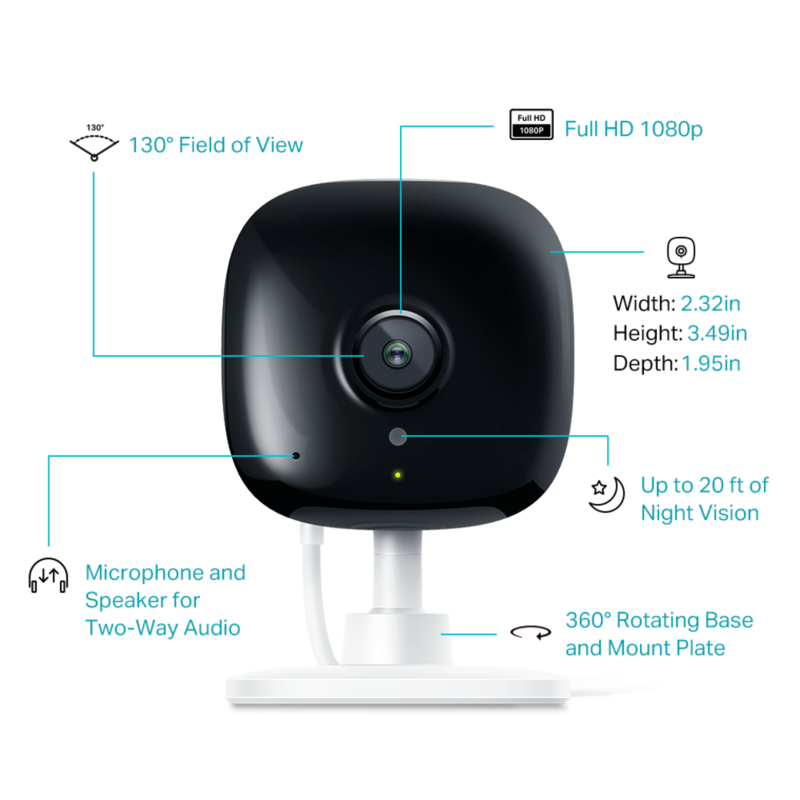 The Spot's 130°, wide-angle field of view makes sure nothing is out of view. 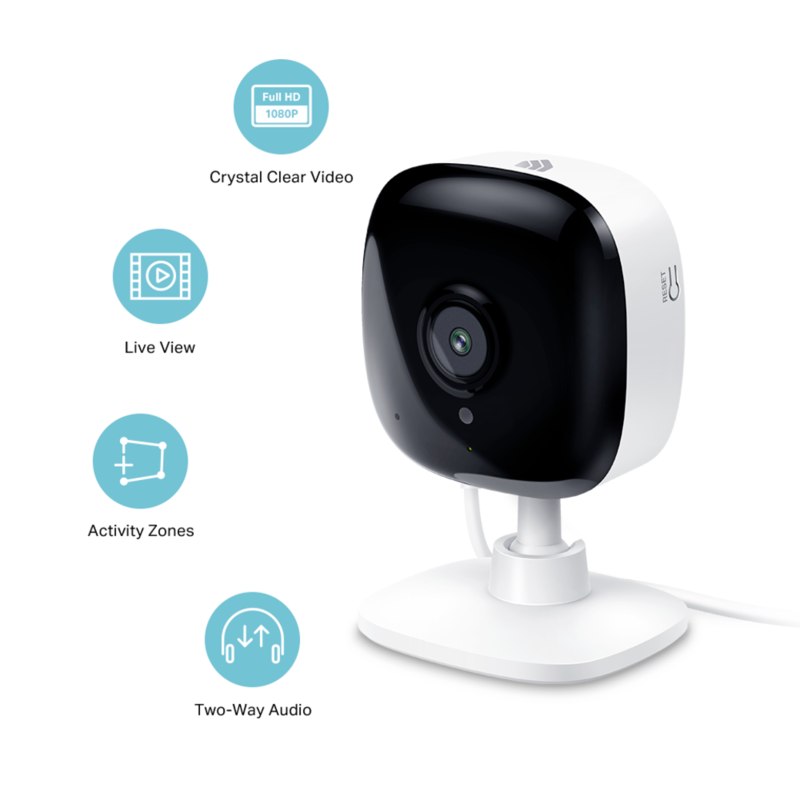 Set it up in a corner and get a full view of your living room or place it on top of a shelf to get a great view of your kitchen. No need to check your Kasa Spot throughout the day. 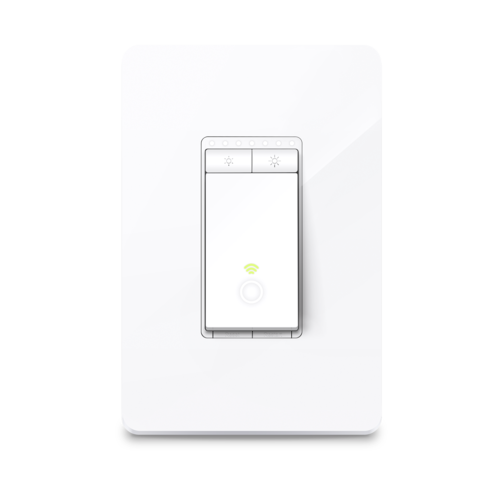 Get automatic alerts when your Spot detects motion or sound. Even in the dark, the Kasa Spot has Night Vision up to 20 feet. Never miss a thing at night and still get the same high-quality video you’re used to. 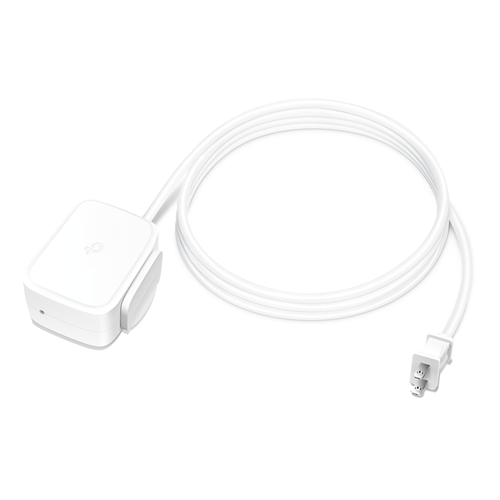 Use crisp two-way audio to communicate with nosy roommates, family or even mischievous pets. 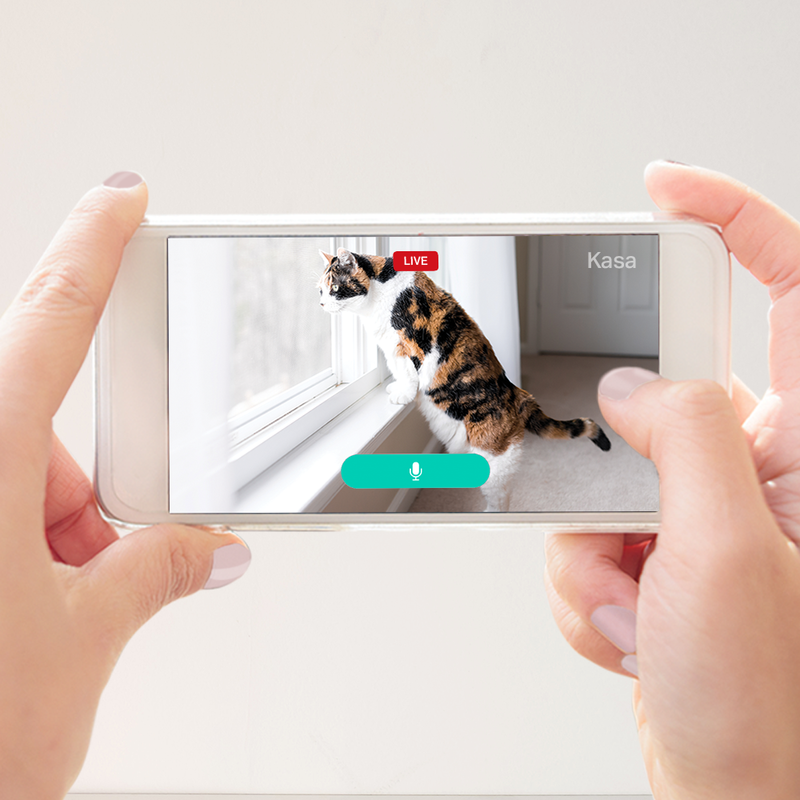 Upgrade your Kasa Care subscription plan and enjoy video recordings for up to 30 days. 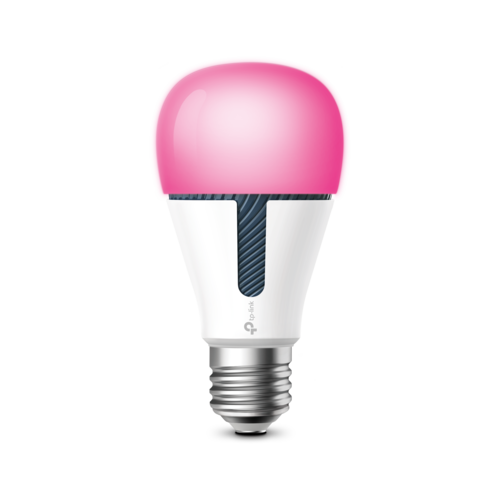 Configure up to 4 customizable zones for more meaningful alerts at no cost to you. 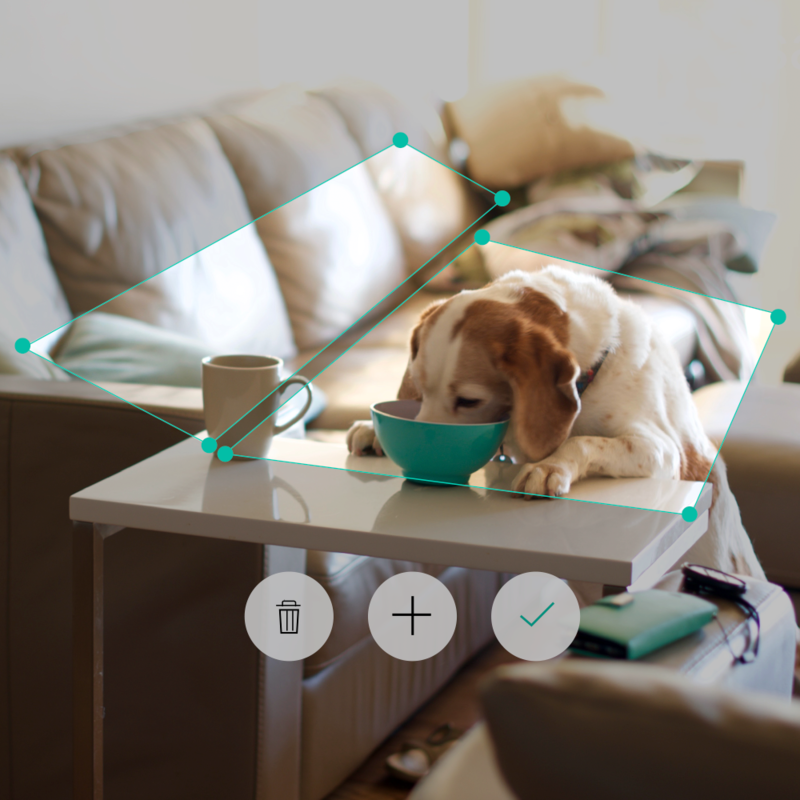 Place zones around your front door, kitchen or anywhere you like to focus your camera’s view. 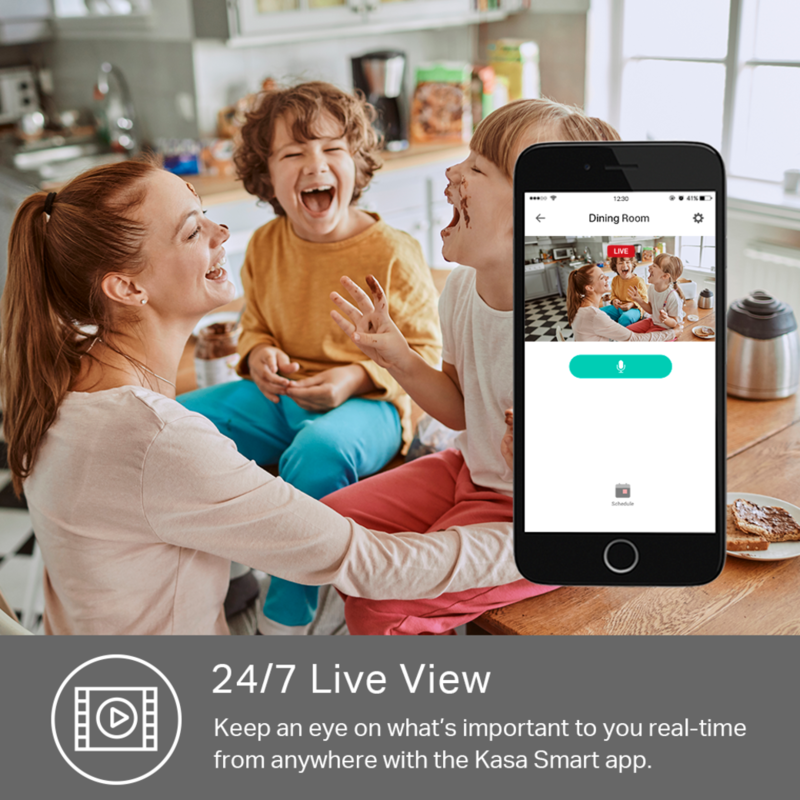 Keep an eye on what’s important to you real-time from anywhere with the Kasa Smart app. 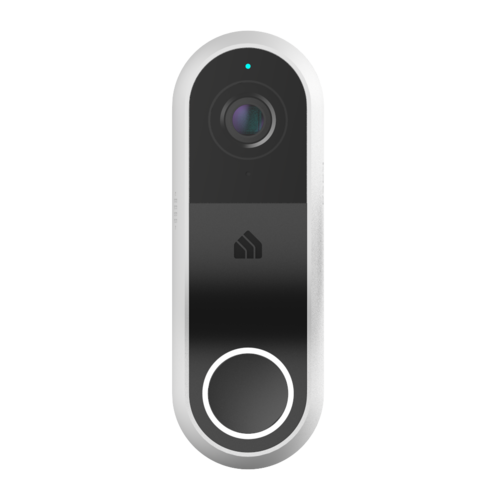 Even stream live video to any Alexa or Google Assistant supported display, like a Fire TV, Echo Show or Chromecast. 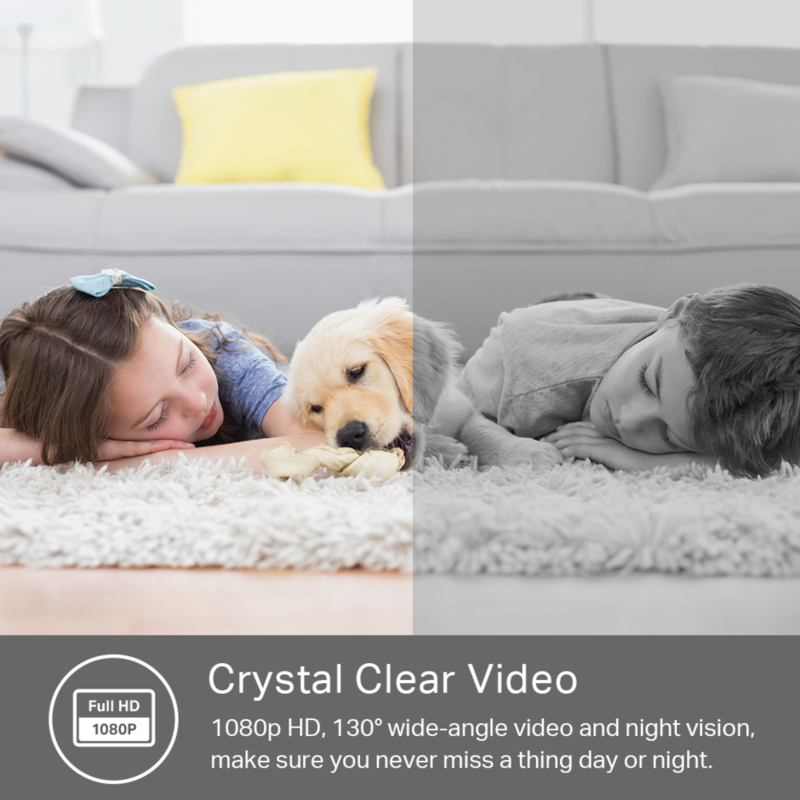 Sharp and clear 1080p full-HD video provides high-quality video, day or night, right in the palm of your hand. 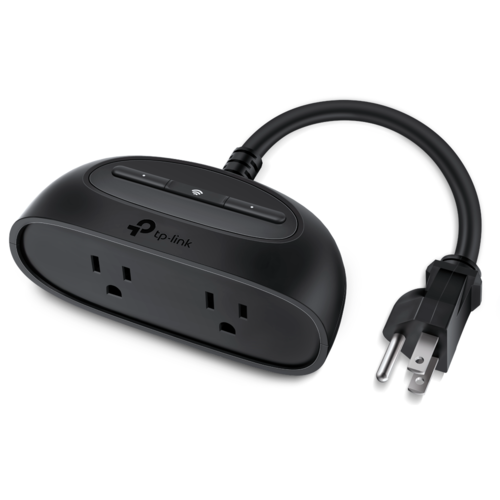 Equipped with Night Vision up to 20 feet, the Kasa Spot makes sure you never miss a thing even when the lights go down. 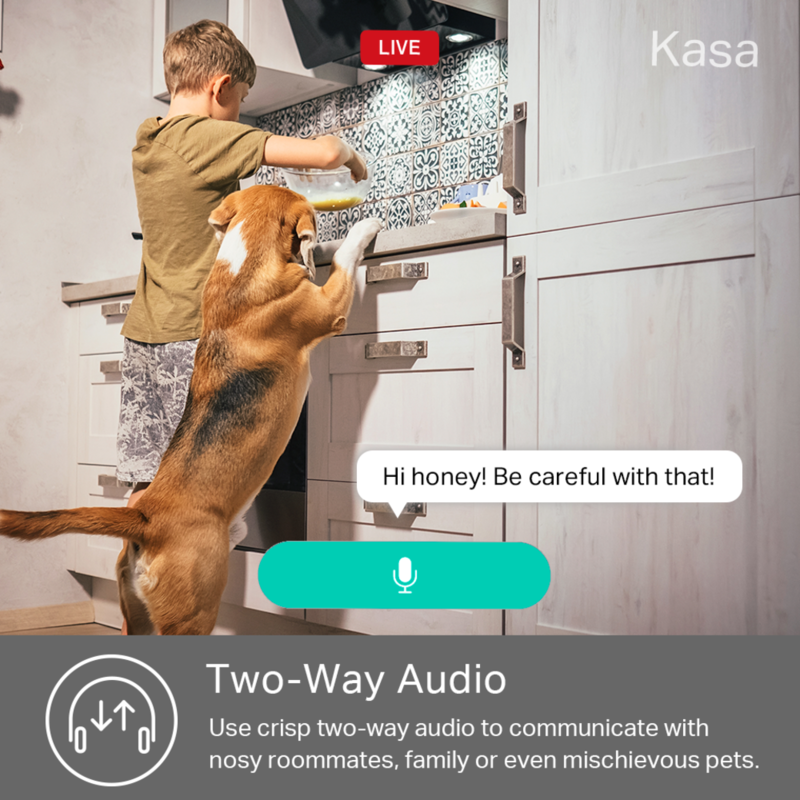 Stream live video on your smartphone with the Kasa Smart app or to any Alexa or Google Assistant supported display, like a Fire TV, Echo Show or Chromecast. You'll always be able to keep an eye on what's important to you. 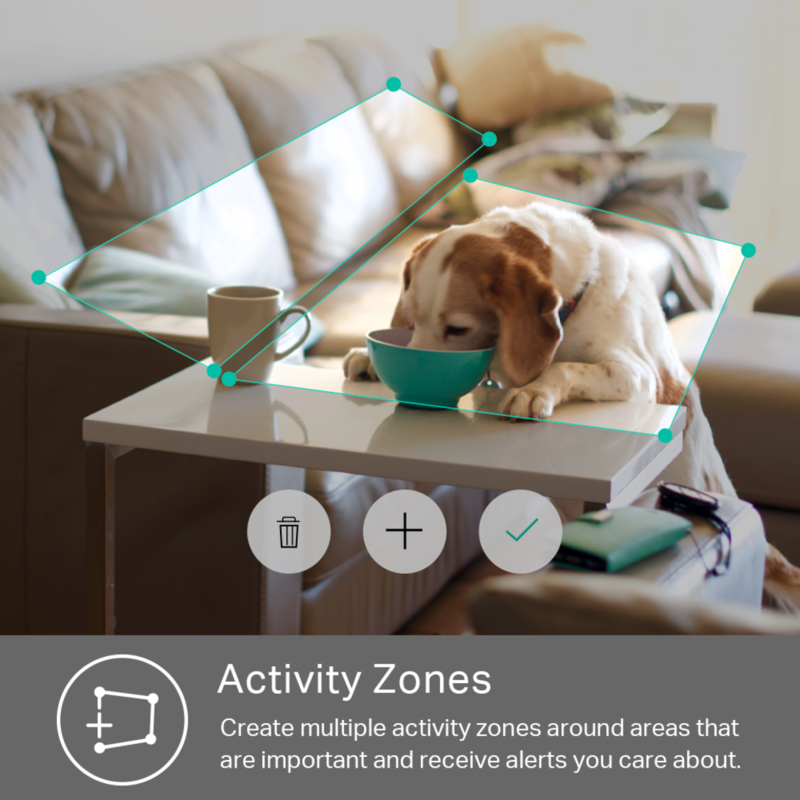 With up to 4 customizable zones, the Kasa Spot gives you more meaningful alerts at no cost to you. 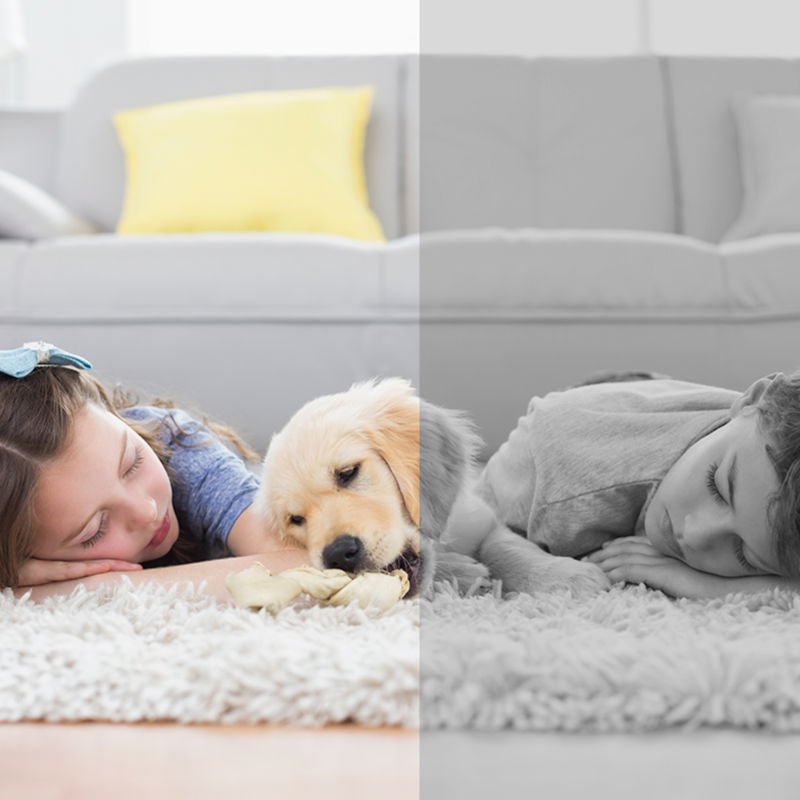 Place zones around areas important to you like the front door, kitchen or even your sofa where your dog likes to relax. 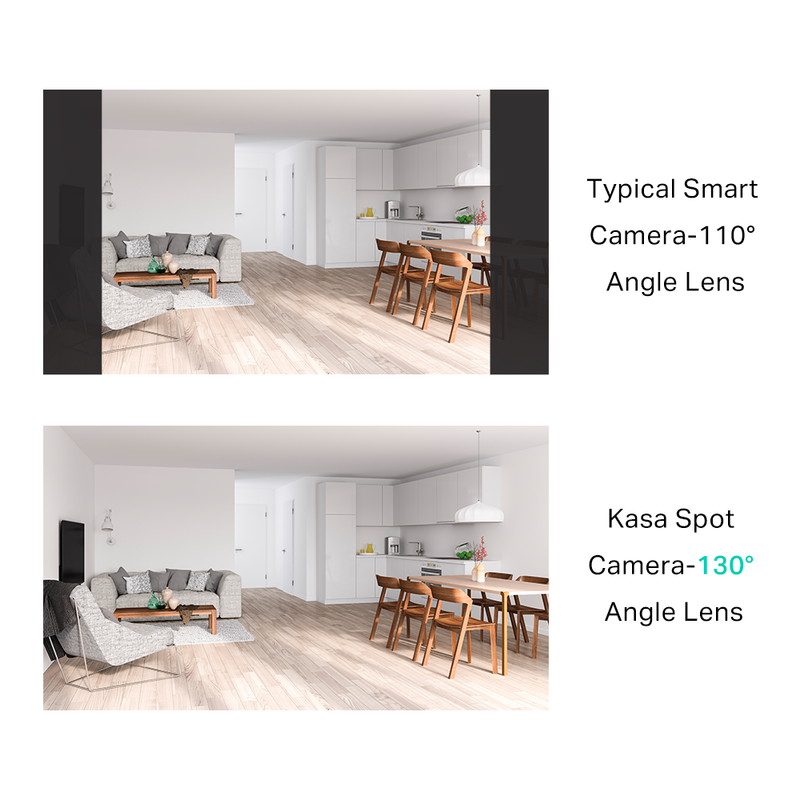 The Kasa Spot's ultra-wide lens makes sure nothing is out of view. 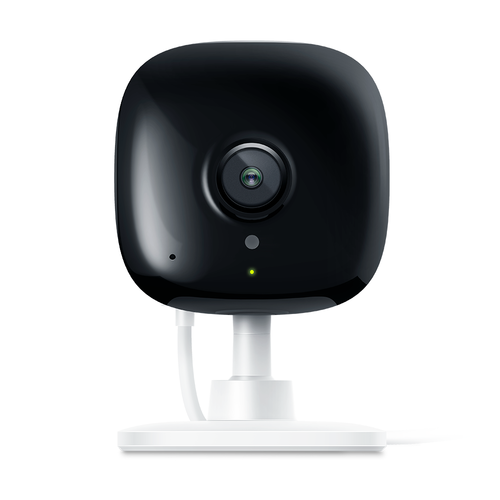 With a 130° field of view, you can set it up in any corner for a full view of any room you like.